At Robert A. Merry & Co., we are proud guardians of a long tradition of trading in premium quality alcohol beverages, stemming from a Spirit and Wine Bonder business and the historic Merrys Tavern established in Dungarvan, Co. Waterford, Ireland in 1868. The Merry family nurtured a reputation as purveyors of fine spirits — a tradition that continues to this day. a strong dash of Irish spirit. We insist on using only the finest natural ingredients in Merrys Irish Cream Liqueur and we blend and craft these to our special recipe. The result is a liqueur of truly exceptional balance and taste — the superiority of which has been acknowledged by a multitude of international awards. 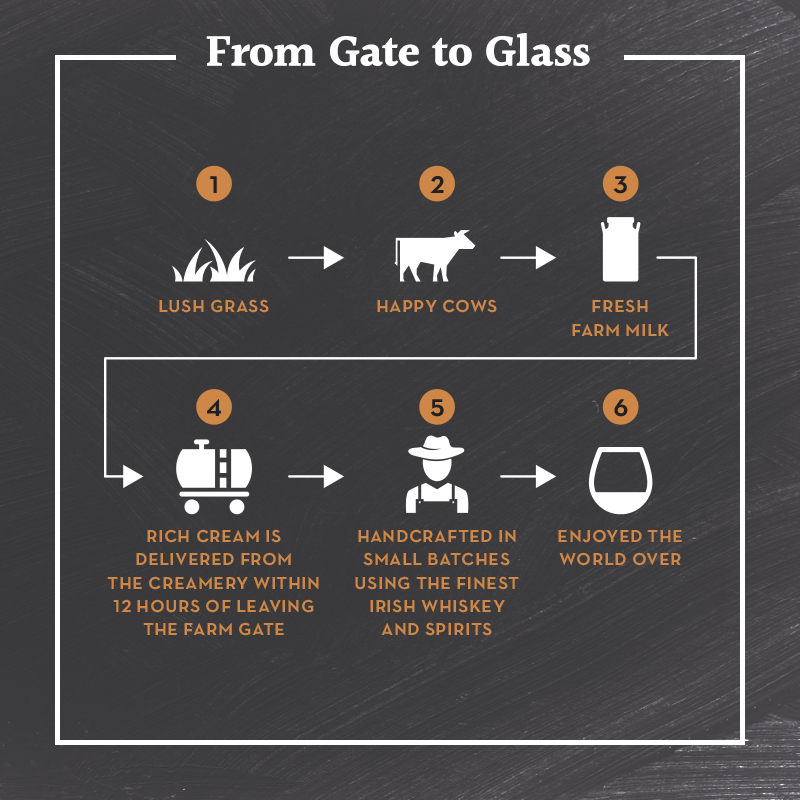 All our liqueurs are carefully crafted in the world renowned, Golden Vale of Tipperary, the heart of Ireland’s finest dairy pastures.